VILLANOVA, Pa. – Villanova University announced the appointment of Ed Liva as Director of its Graduate Tax Program, effective October 1, 2015. Liva joins the program full-time following his retirement from KPMG, where he most recently served as national Real Estate Industry Tax leader, as well as the leader of the Federal Tax Passthrough Services Group and New York Real Estate Tax Practice. He has served as an adjunct professor in Villanova’s Graduate Tax program for more than 20 years, teaching federal taxation of real estate transactions. In his new role, Liva will oversee the University’s nationally-recognized graduate tax program, which is offered both on-campus and online. The cross-disciplinary program—designed for lawyers, accountants and business professionals—is developed and managed by the Villanova University School of Law in conjunction with the Villanova School of Business. 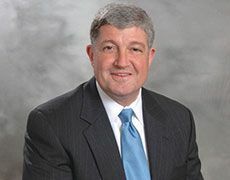 Liva recently retired from KPMG—where he served as the national Real Estate Industry Tax leader since 2003—culminating a 38-year career in the industry. He transferred to New York in 2011 to lead the New York Real Estate Tax practice and the Passthrough Services group within KPMG’s Federal Tax practice. Previously, Liva led the Philadelphia office’s Real Estate Tax practice and served as the Partner-in-Charge of the Philadelphia Tax practice from 2005 through 2011. He has been a frequent speaker, panelist and presenter of current taxation and real estate industry topics. Liva began his career with Arthur Andersen in Chicago in 1977, transferring to its Philadelphia office in 1991. He joined KPMG in 2002. He earned a bachelor’s degree in accounting from John Carroll University, a JD from DePaul University College of Law and an LLM in Taxation from Temple Law School. About the Villanova University Graduate Tax Program: The Villanova University Graduate Tax Program melds real-world education with professional responsibility in tax practice. Developed by Villanova University School of Law (VLS) in conjunction with the Villanova School of Business, the rigorous curriculum of the Masters of Law (LLM) and Master of Tax (MT) programs examine taxation from multiple perspectives, allowing students to explore how the law and accounting affect the field’s ever-changing landscape. Courses examine the full spectrum of taxation practice, including federal, state and international taxation; individual and corporate income tax; taxation of trusts and estates; employee benefits; and federal transfer taxes and tax procedure. About Villanova University School of Law: Founded in 1953, Villanova University School of Law provides broad-based legal education that is grounded in academic rigor, practical hands-on training and a foundation in business that prepares graduates for diverse and rewarding legal careers. The Law School, which is accredited by the American Bar Association, offers seven in-house clinics and more than 150 externship opportunities that immerse students in the real-world application of their legal skills. Villanova is home to three Centers of Excellence—the Jeffrey S. Moorad Center for the Study of Sports Law; the David F. and Constance B. Girard-diCarlo Center for Ethics, Integrity and Compliance; and the John F. Scarpa Center for Law and Entrepreneurship—which provide students the opportunity to pursue innovative, interdisciplinary legal fields through study, practical experience and mentorship. About Villanova University: Since 1842, Villanova University’s Augustinian Catholic intellectual tradition has been the cornerstone of an academic community in which students learn to think critically, act compassionately and succeed while serving others. There are more than 10,000 undergraduate, graduate and law students in the University’s six colleges—the College of Liberal Arts and Sciences, the Villanova School of Business, the College of Engineering, the College of Nursing, the College of Professional Studies and the Villanova University School of Law. As students grow intellectually, Villanova prepares them to become ethical leaders who create positive change everywhere life takes them.